Images of the World - The best photos from National Geographic Agosto 2010. 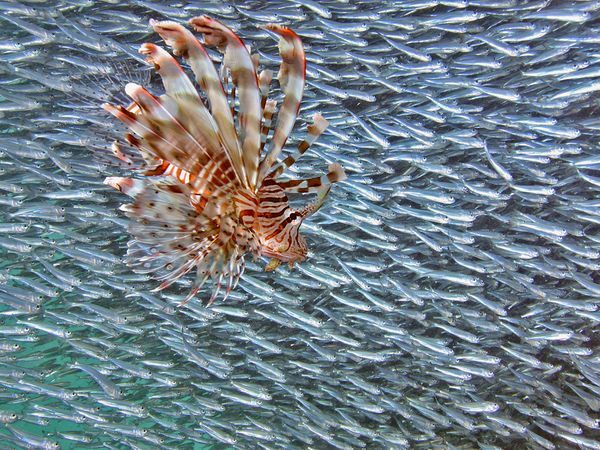 A venomous lionfish breaks into a huge ball of swirling baitfish. 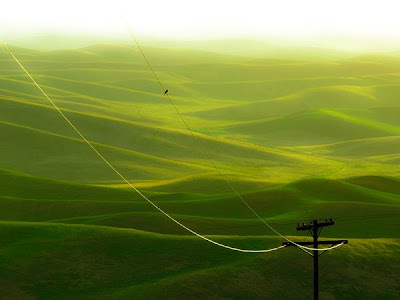 Sunrise lights up the verdant hills of Palouse, Washington, beneath the watchful gaze of a lone early bird. 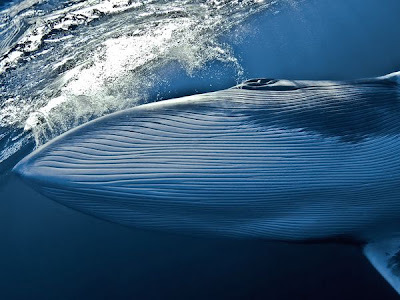 A dwarf minke whale cuts through the water, its many throat grooves clearly visible. 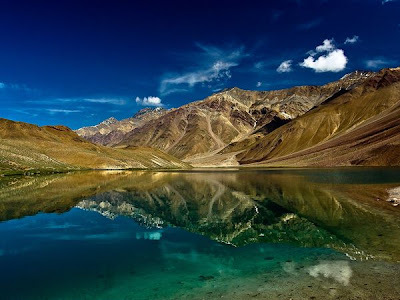 The azure waters of Chandra Tal—Lake of the Moon—in Himachal Pradesh, India, reflect the vivid hues of a bright Himalayan day. 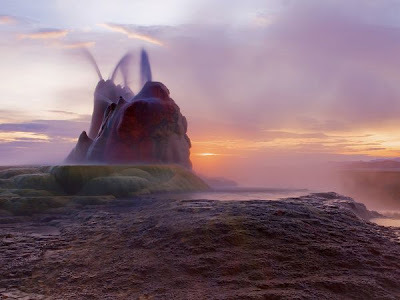 The rising sun illuminates Black Rock Desert and the Fly Geyser, which sends a continuous stream of scalding, mineral-laden water sky-high. 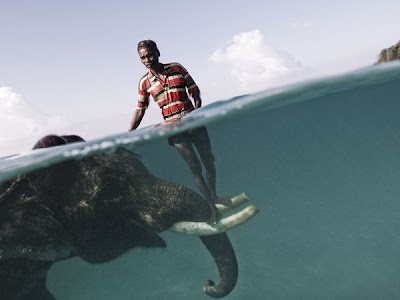 Nazroo, a mahout (elephant driver), poses for a portrait while taking his elephant, Rajan, out for a swim at Radha Nagar Beach in Havelock, Andaman Islands. 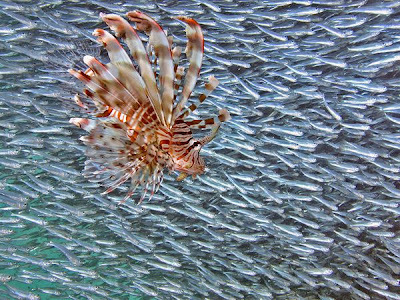 Landing at Princess Juliana International Airport, a looming 747 thrills visitors on Mahó beach, a famous plane-watching spot. Explore an unparalleled treasury of iconic images and groundbreaking photography in National Geographic Image Collection, 2010 People's Voice Webby Award Winner. 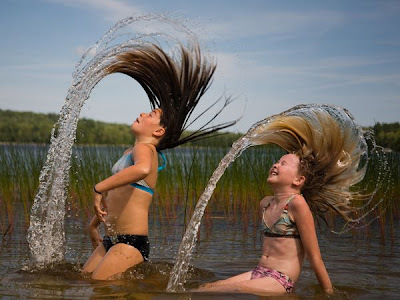 The best photos August 2010. The National Geographic Society’s logo is a yellow portraitframe - rectangular in shape - which appears on the margins surrounding the front covers of its magazines. 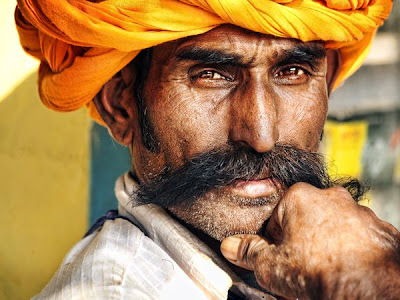 Today, there have been 152 visitors (634 hits) on this page!